Add some zap, bang and kapow to the perfect gift for all brothers out there! This superhero print is a lovely gift to give from one sibling to another. Let any brother know just how super they really are! 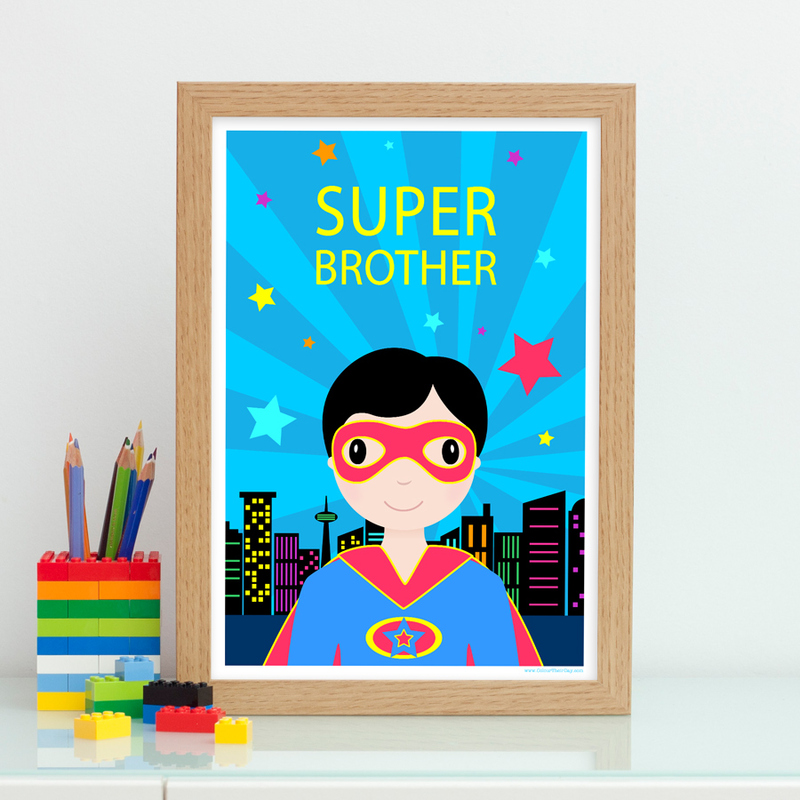 The design features a boy superhero ready to fly off into the city, with the text ‘SUPER BROTHER’ printed against the zingy blue background. The print is available in A4 unframed, A4 framed and A3 unframed. Be the first to review “Super Brother – Superhero A4 / A3 Print” Click here to cancel reply.